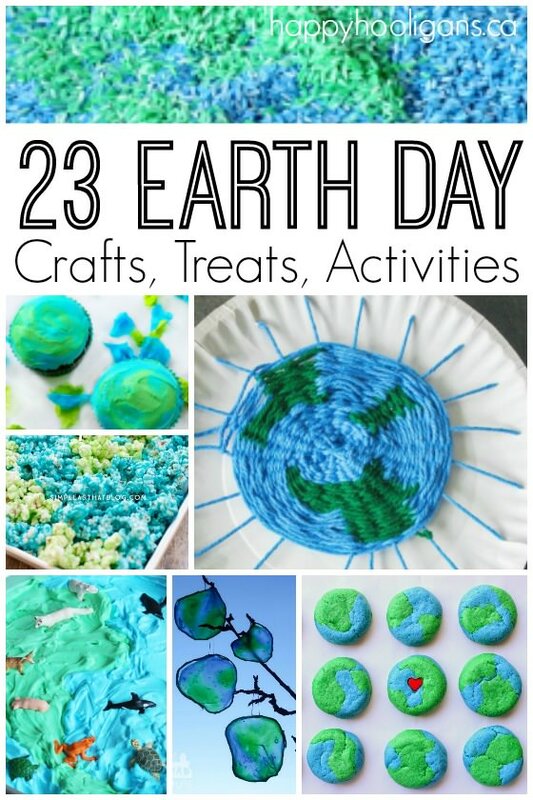 If you’re looking for Earth Day crafts for kids as April 22nd approaches, you’ll find some great ones here. 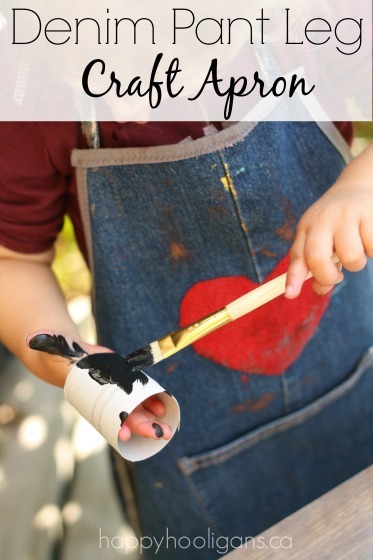 I’ve rounded up 23 Earth Day crafts, treats and activities for toddlers and preschoolers to make, eat and do on Earth Day. 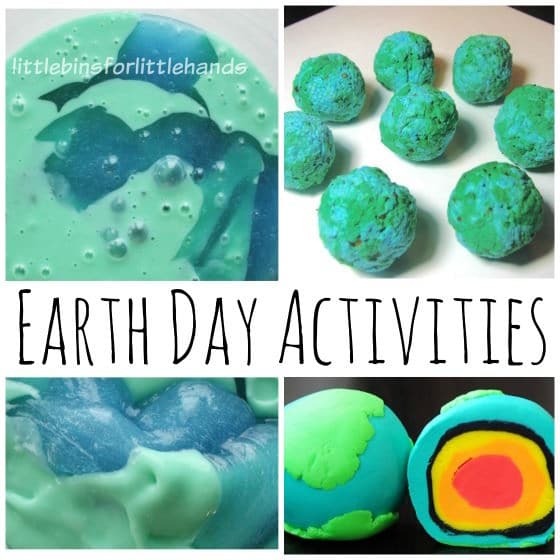 These fun and easy Earth Day crafts and activities can be used to accompany Earth Day discussions and Earth Day themes at home or in the classroom. They’re easy enough for toddlers and preschoolers to enjoy but elementary kids will love them too. Of course, every day should be Earth Day, and the kids and I do our best all year round, here in my home daycare, to honour and respect our planet. We compost, we recycle, and we make our own earth-friendly laundry detergent. We repurpose our old jeans into bibs and aprons for the daycare, we shop-second hand, we use a rain-barrel and most of our crafts are made from used or recycled materials. Never-the-less, it’s important to set one day aside to really focus on the earth and the environment, and to be consciously aware of the importance of our impact on the planet. Earth Day falls on April 22nd every year. We’ll talk a lot today about the measures we can take to reduce our carbon footprint, and of course, to make things fun, we’ll do some Earth Day crafting, and do some activities that will encourage awareness as we observe this special day. 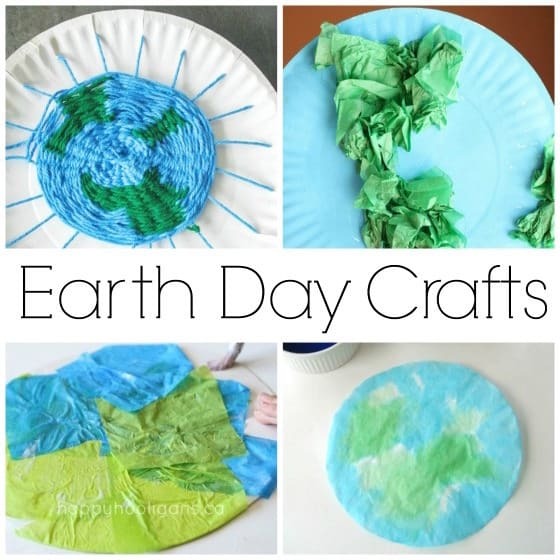 We’ve made some fun and easy Earth Day crafts in past years, and I’ve teamed them up with a few more Earth crafts I’ve found on the net, to share with you. 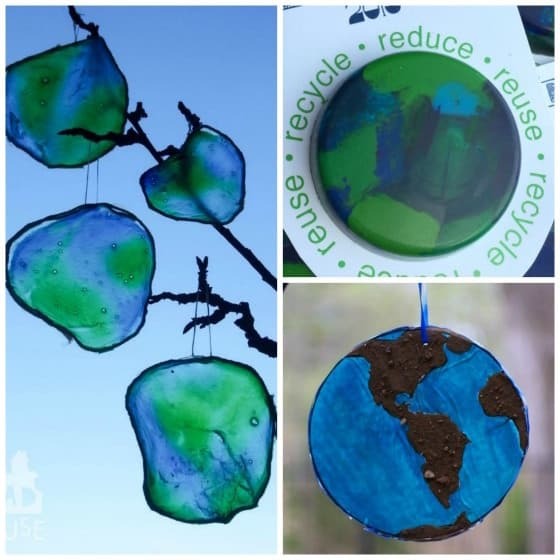 These “stained glass” Earth Day Sun Catchers by Mum in the Madhouse are gorgeous! You’ll never guess what they’re made out of! Turn some broken crayons into Earth crayons and your kids can hand them out to their classmates on Earth Day! 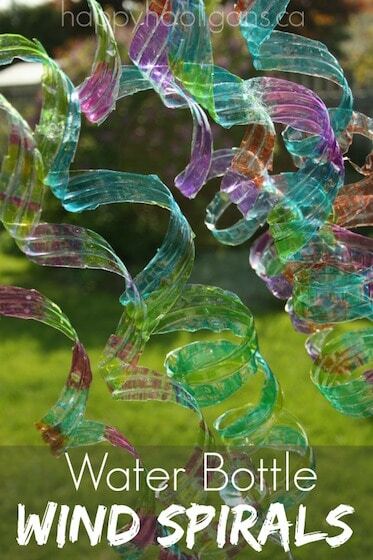 Make an Earth Day sun catcher like Kids Activities Blog did, using, what else? Real dirt! I do love a good paper plate weaving craft! Isn’t this Earth Day woven craft by Pre-K Pages! 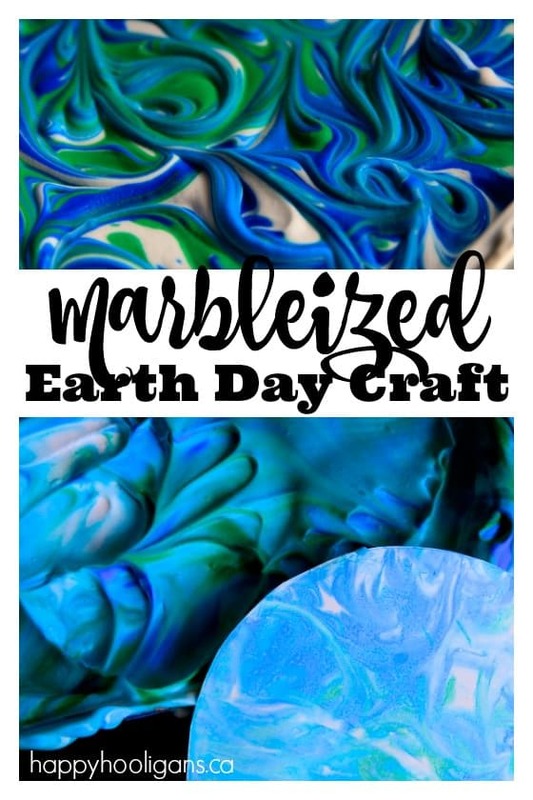 We used one of our favourite art techniques – marbling with shaving cream – to make this Earth Day craft. It looks very much like our earth when viewed from outer space. Kids will love the process used for this craft. It’s so fun and it smells so good! 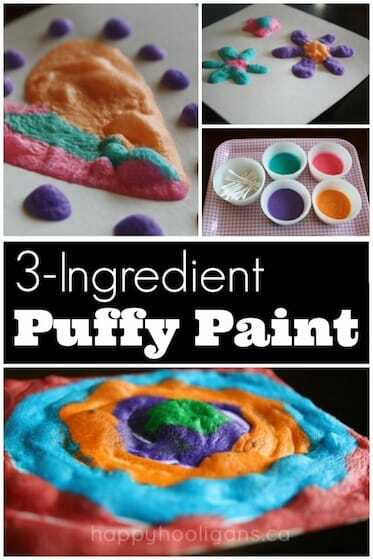 With just 3 kitchen ingredients, you can whip up a batch of puffy paint to make this puffy Earth craft. You just paint and then pop it in the microwave, and it puffs right up! Little Bins for Little Hands are experts when it comes to slime recipes! It’s no surprise that they’ve whipped up a batch of green and blue slime for Earth Day! Have you heard of seed bombs? You pack these little bombs with flower seeds, and give them as gifts or toss them into the garden! I love these Earth Day seed bombs by Plantables and Paper. Look at this fabulous homemade Earth Day play dough! Meet the Dubiens made enough colours to teach her kids about the layers of the earth! 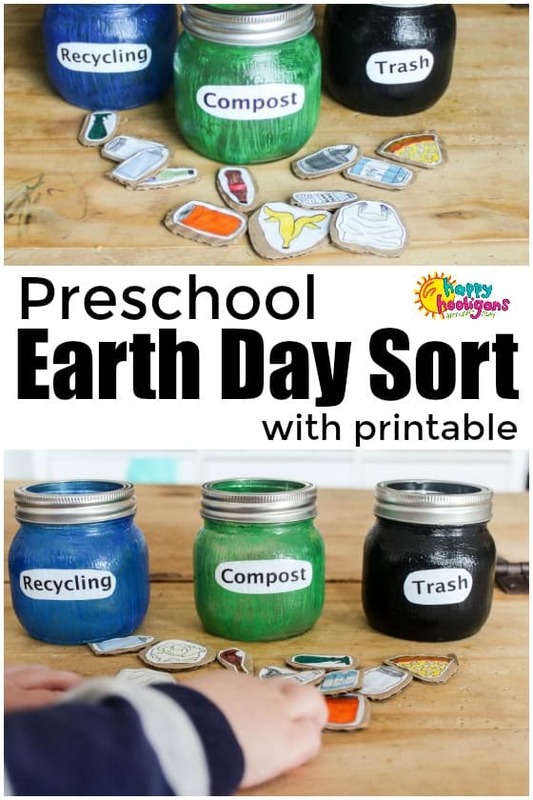 Here’s a fun Earth Day activity that teaches kids how to sort items for trash, compost and recycling. There’s a free printable in the post to go along with the activity. Earth Day Treats! 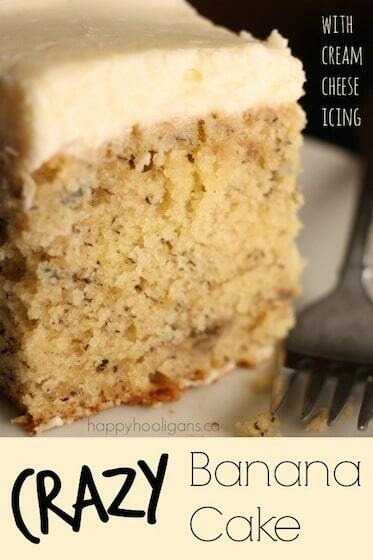 Great for home or the classroom! These Earth Day cupcakes by ABC Creative Learning have a fantastic surprise inside! Check ’em out! 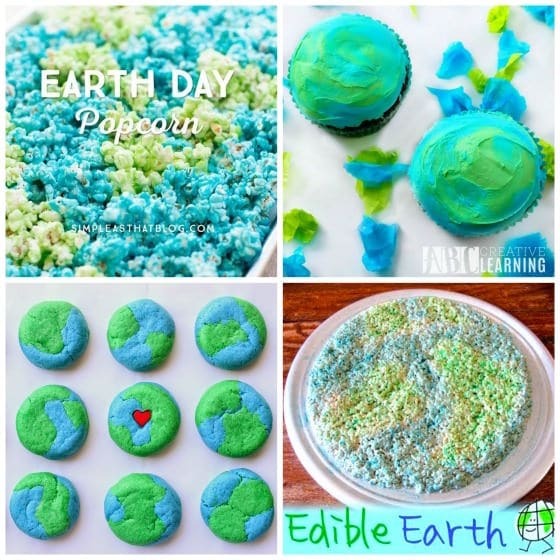 You’ve probably seen this gorgeous batch of Earth Day cookies all over pinterest! They were made by Munchkins and Munchies. Don’t they look yummy? 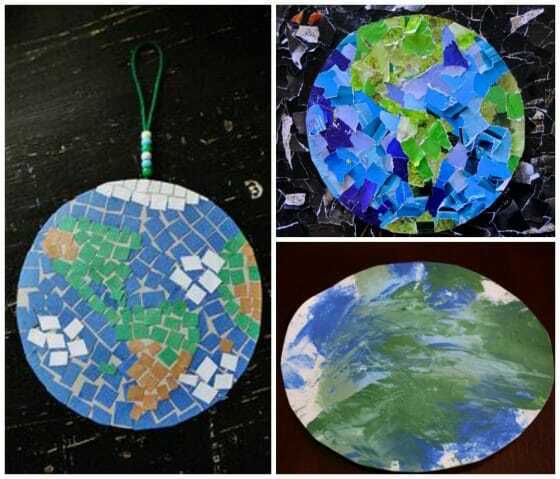 Crafts by Amanda shows us how to make a simple mosaic earth ornament for Earth Day. 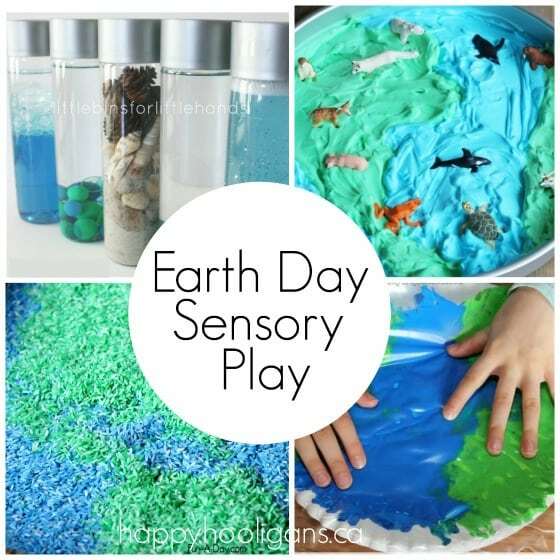 And lastly, we’ll finish up with some awesome Earth Day sensory activities! 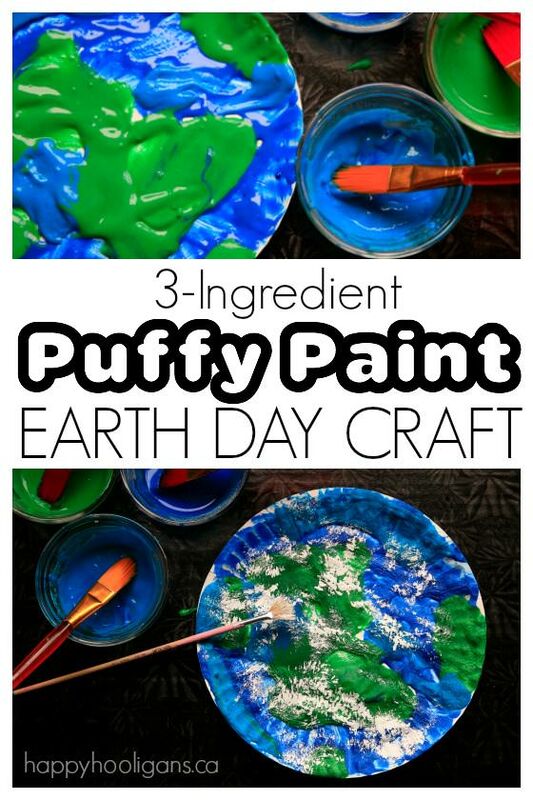 I hope you enjoyed all of these easy Earth Day projects! Hopefully you’ll choose to do a few with your kids or students today!